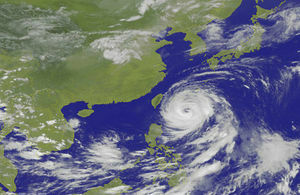 Travellers intending to travel to or from Taiwan should check with their airlines. For those currently in Taiwan, please pay attention to Taiwan local authorities’ announcements. If you are a British national needing urgent consular assistance during this period, please call +886 (2) 8758 2088. 27 September 2016 Due to typhoon, Megi, British Office will be closed on not only Tuesday but also Wednesday.